The title alone tells me that I may be too old for this by about a decade, but I jumped into it eagerly. And discovered I'm a lot dumber and decidedly less hip than I had hoped. The key is "innovative" and it really delivers on that end...the short stories that make up this collection bend all the rules, if not shattering them entirely. Metaphysical thought mixes with concrete metaphors, and the result feels inspired and youthful, even if it all doesn't make sense. Much of it went over my head, like hearing only the punch line of a joke and nodding amiably but cluelessly while everyone shrieks with laughter. However, there is some dazzling writing here, and three I specifically want to mention, because they all lie outside the typical expectations about "good writing" may be. For one thing, the iconic story of Robin Hood and his Merry Men gets an experimental twist in "When Robin Hood Fell with An Arrow Through His Heart" by Todd Seabrook. The gang falls apart after Robin's death, not able to even kill themselves with their own arrows, despite trying. "The form starts to go when it hasn't been used," warns Seabrook. Having reached nearly the half-way point in the anthology, I couldn't help but think Seabrook was commenting on the very lack of variety and inventiveness in other forms of writing today, suggesting its "form" has already started to go from lack of innovation. Joshua Cohen proves himself the master of killer lines in his part of the anthology, with seven short pieces all made visual and distinct with tight and compact wording. "On Location" delivers the line "It is a common problem in our cities today -- When you don't know you're in a movie that you're in." After the unknown director repeatedly coaches the good-natured resident, not an actor, on how he wants the scene played, he finally tells him "Just do what you did. You were so much better before." This idea of playing along with a different reality and having the simple images of role-playing and direction juxtaposed, Cohen has created an amazing sense of truth to an unreal scene in just a few sentences, and concludes with the image of "a woman so vain she wants to look good even for the surveillance cameras." My favorite of the anthology isn't even narrative; it's a instructional/inspirational piece by Adam Good, entitled "Guided Walks". In this he describes what can be taken from meta-guided walks, and how the randomness of phrases and word blends can create a new direction or seed of thought. With supporting charts as documentation, he shows how reading, walking, or visiting with another person (or all combined) can create a new vocabulary that feels more real and vibrant than one expects. Something along the lines of what Amazon used to call "statistically improbable" phrases that become a signature of a work. Mixing and musing become an exercise in creativity, but giving a starting point for a potential writer rather than an empty prompt. The entire collection is quirky and bold, but it's in no way childish or immature. From it's elementary-school picture day cover to the variety of ways text is manipulated, the collection offers a valid and respectable perspective of creative writing that is likely hidden from mainstream writing venues. Margins, backgrounds, formatting: all are subject to experimentation, with one entry by Zach Dobson actually looking exactly like a Mead Composition book that he filled in during homeroom. While I admit much of it was outside my realm of imagination, I loved the concept of changing or questioning the status quo of what can be considered creative writing, and making something solid and real that can endure as well something more traditional and mainstream. This is actually the second time recently that I've read a fiction novel written by someone I'd only known as a poet, and this departure for Manolis proves that a poet's eye may add detail a novelist may initially miss. 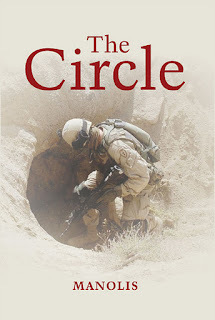 The Circle is about the lives of many affected after 9/11 and how their actions are changed due to the event. Yet, the narrative takes this outside the typical American perspective and looks at it from the viewpoint of Iraqis whose lives were altered by the bombings and warfare that followed. Often, the poignant storyline becomes uncomfortable, because it's so different from how our media and Western mindset portrays the events. Introspection seems inevitable, as characters, both from Iraq and the US, behave in ways that the reader has to question. 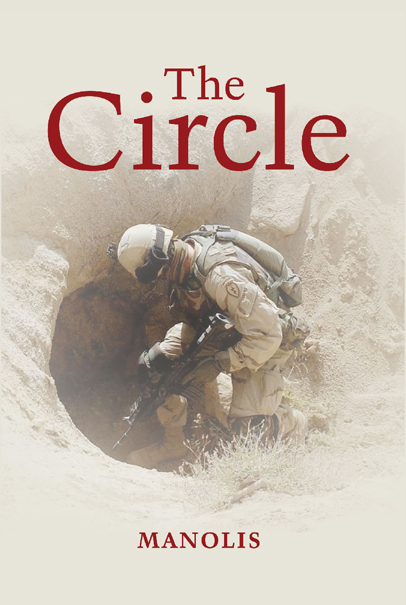 The underlying current of the novel looks at the CIA's involvement in Iraq pre-9/11, and how innocent citizens were affected so dramatically. Hakim is the protagonist, a student saved from the rubble and now a succesful American businessman. He's a curious sort, because despite his wealth and success, he's categorically unemotional and distant. The author intends for us to examine why that is the case. The most fascinating character to me was that of his similarly wealthy uncle Ibrahim, who adopts him as a son when his parents were killed. Throughout the story, I was debating with myself if Ibrahim was villain or hero, and of course, the answers are never that easy. One thing that annoyed me a little was that both of the female characters that had significant roles in this novel were incredibly shallow and, shall we say, dumb as paint. Given their own histories, their interaction with political circles, and being eyewitness to some of the horrors, it would seem they'd have more to say, or at least engage in some sort of meaningful interpretation. To describe them as blindingly ignorant is not an exaggeration! After giving it some thought, I suspect that was intentional on the part of Manolis, and a way to subtly assert that many Americans may have a similar thought process when it comes to the more difficult questions and situations in life. In places, parts of the story are rough going as they demand the reader to consider the future in view of past history, and this can be disturbing to acknowledge. Overall, however, I think this is a viable subject and angle to look at the post-9/11 world and disrupt any prejudices one may unwittingly hold. Special thanks to Libros Libertad for the Advance Review Copy. I've raved about Islandport Press before, and fair warning, I'm going to do it again. I found them a few years ago when a now-defunct children's magazine (called Cookie) had a rave review from author Dave Eggers for The Cat at Night, a lovely and unusual children's story book by an unknown-to-me artist, Dahlov Ipcar. I ordered it immediately from an online retailer, and was delighted with the story about what the family cat actually does at night while everyone sleeps. My little guy liked it too, but above the storyline, the art work is tremendous. 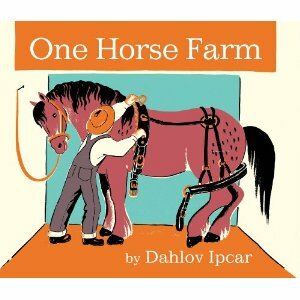 Ipcar creates an unusual world of colors and shapes that is all the more rare for children's books: this is serious art. Ipcar uses bold colors in opaque "milk" tones with heavy lines and rough outlines. What's more surprising is the use of black (until recently, practically never seen in children's books). The result is a retro/vintage look that isn't a trend but the life art of an amazing and gifted artist. So I was excited to get two of her newer titles: One Horse Farm and Wild Animal Alphabet. 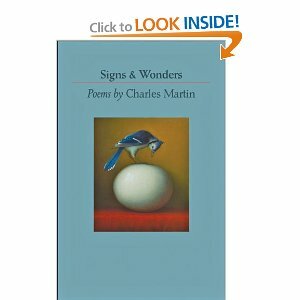 The story itself is engaging for a three-year-old and up to understand; younger than that, a toddler would likely love the photos and unique colors. As always, this is a hardcover with pages printed on heavy stock with a quality look to it that makes it a likely heirloom in our family...seriously, there is a difference in quality among publishers of children's books. 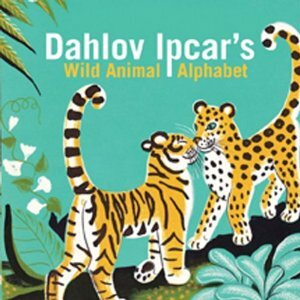 The other title was a board book from Ipcar, Wild Animal Alphabet. This is the second Ipcar board book Islandport was produced with Ipcar's work (the previous was Farm Animal Alphabet). The cover shows the kind of artwork Ipcar is famous for: cute but not overly sweet. Bold colors and lots of interplay with shadows and light make each page interesting, even if it is "just" the alphabet. I enjoy this difference from other children's book styles because when we read 4-5 stories before bed each night, I get really sick of cutesy pastels and pages that are over-saturated with random graphics. Ipcar's work is easy on the eyes, simple, and unique. Am I raving again? Of course! I only wish I could have decorated the baby's room around her artwork. Special thanks to Melissa Kim of Islandport Press for the review copies. Disclosure: I loved this publisher and bought their books before I ever reviewed for them! consist of an icky old Avon bottle and an unfinished quilt)!!! Three Percent - Open Letter is the face of translated literature right now, and as a nonprofit publisher, they could use some $$$$. When planning year-end giving, consider going to the link to contribute to their annual fundraising. They sometimes send out nifty little things like a car air freshener, just to remind you how generous you are! 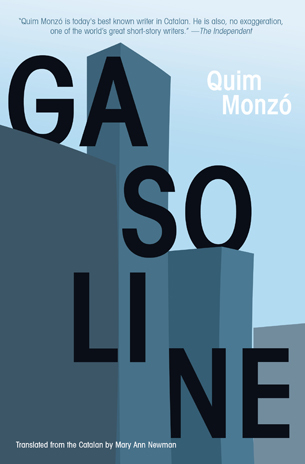 Copper Canyon Press is also finishing out the year attempting to raise funds at https://www.coppercanyonpress.org/pages/donation.asp. Yep, they're a nonprofit. Forgetting for a moment books in favor of children, the Jack and Abby Neonatal Foundation is working on getting a $25, 000 grant from Pepsi to provide a guest room for parents of critically-ill babies. The details are at http://www.jackandabby.org/news. Having spent several weeks away from home when my baby was in the NICU, having a place to crash nearby the hospital meant I could be with him at almost all times. The place I stayed was a block from the hospital, the guest room that Pepsi would provide would be right in the hospital! More times for hugs and kisses! Or, if you are more of an animal lover and would rather help them, consider the Pacific Wildlife Care Center's fundraising drive at http://www.pacificwildlifecare.org/supportus_donations.html. This nonprofit is amazing: they tried to save a poor hawk that was injured near our home. Several volunteers contributed funds and their time to try and get him back on his wings, but he didn't make it. Yet, they tried and many are saved. This last year from Jan through Nov, they treated over 1800 animals on the Central Coast, reintroducing them to the wild as soon as possible. It's just the first week in December, but everyone's putting up their "best-of" posts so I guess I had better get busy! This year was really fun for me. Because I've been fairly insistent on maintaining my niche of Eastern European or Russian titles, these have arrived in abundance and there's so many treasures! 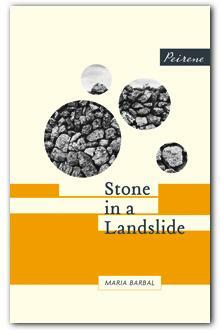 Top 7 Fiction ---too many great titles to pare down any more: 5 of 7 were translations! The Devil's Share by Kris Farmen, McRoy and Blackburn. http://www.theblacksheepdances.com/2011/01/devils-share-by-kris-farmen-literary.html Unusual protagonist, Alaskan wilderness, rapid-fire pace and a plot full of twists with nothing routine in it. Frozen Time by Anna Kim, Ariadne Press: http://www.theblacksheepdances.com/2011/05/frozen-time-by-anna-kim-translated.html Heartbreaking vision of the after-effects of the Balkan war, with unbelievable detail and real, flawed characters. Top 5 Poetry 3 of 5 were translations! 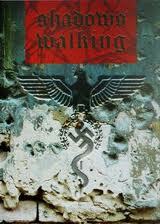 Shadows Walking by Doug Skopp (physician ethics, Holocaust) Technically a fiction novel but enough detail that I'm calling it history. 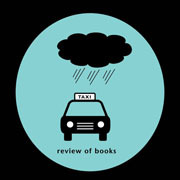 Favorite literary magazine: Rain Taxi, of course! But the PEN America journal is tied with Words without Borders for most fascinating coverage of unusual authors and themes. World Lit Today and Tin House for their poetry coverage. Favorite online book coverage: HTML Giant, Galley Cat, and the Los Angeles Times Book Section (what's left of it). My favorite blogs: Manoflabook.com for Zohar's intense analysis, Bernadette's Reactions to Reading, Lisa Hayden's lisasotherbookshelf.blogspot.com, Mary Whipple's thorough coverage http://marywhipplereviews.com/, Daisy's Aconcise.blogspot.com where she streams through and posts the best lines of current novels, and the blogs for Open Letter, The Millions, and Conversational Reading. Favorite Classic (Rediscovered): Beowulf. The Seamus Heaney version. It finally makes sense, so maybe I've matured! Remember Dover Publications? They run anywhere from $1.50 to $4.00 for a paperback, and I remember depending on them in high school for English assignments. So, while a Penguin or Norton edition looks more elegant, there's nothing like a collection of cheap reads to keep in the car or to collect old classics. 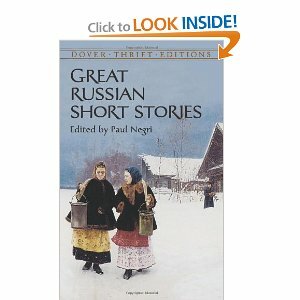 So this title was one I purchased online at Powell's, just to get to know a few of the more obscure Russian authors. This was surprisingly delightful! It features Dostoevsky's "White Nights", "The District Doctor" by Ivan Turgenev, "Lady with Lap Dog" by Anton Chekhov (my favorite), and the timeless ﻿"How Much Land Does a Man Need" by Tolstoy. These are short enough to complete one in a sitting comfortably--I've kept my copy in the car when I wait on someone and when I'm not in the mood to deal with my Kindle (which sadly is way too often!). Gogol's "The Overcoat" is in it as well, and while the stories seem rather simple and harmless, they are actually amazing at analyzing human nature and all the nuances of greed, shame, and embarrassment. A cheap read, great background for Russian literature, and a great start for year two of the Eastern European Reading Challenge. Announcing...the 2012 Mediterranean Reading Challenge! This year's Eastern European Reading Challenge hasn't yet ended, but it's time to think of next year's reading challenge. I chose to go with the Mediterranean region because not only is it topical, it's also an area where translated works are flourishing. And it's supposed to be healthier too! 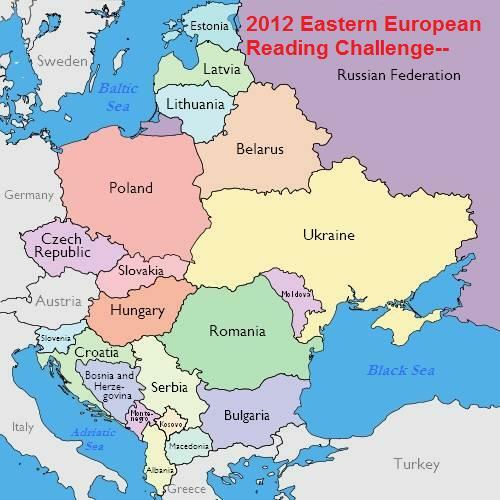 The 2012 Mediterranean Reading Challenge! So, start planning what level you'd like to try for if you decide to enter. The last two years of reading challenges had over 70 people from more than 20 countries participating. ﻿ The following countries are included: Algeria, Albania, Tunisia, Spain, Morocco, Libya, Egypt, Israel, Lebanon, Syria, Turkey, Italy, Greece, Bosnia, Croatia, Yugoslavia, Monaco, Slovenia, Crete, Cyprus, and Malta. Need ideas to start? You can explore at Archipelago Books (archipelagobooks.org), Peirene Press (www.peirenepress.com) or Open Letter (openletterbooks.org) to find translated fiction and poetry, as they are the preeminent publishers of translated works. To enter, leave a comment on this post with your name and home country and reading goal. Another post will be created for you to leave links to your reviews or to post titles you may want to share. To keep things relevant, I'll add occasional news topic posts to the blog that deal with this region and may be of interest to participants. You'll soon find a tab on the home page that will control information for the Mediterranean challenge details. If I'm really ambitious, I may throw in a recipe or two. Additionally, the Eastern European Reading Challenge is going to continue...there's been enough interest to keep that in play for the next year. You'll find a new post that allows you to enter if you haven't already. According to the World Atlas site, the Mediterranean "is bordered on the north by Europe, the east by Asia, and in the south by Africa. This 969,100 sq. mile body of water is approximately 2,300 miles in length, and has a maximum depth of 16,896 ft. Major subdivisions include the Adriatic Sea, Aegean Sea, Balearic Sea, Tyrrhenian Sea, Ionian Sea and Ligurian Sea." For purposes of Spain, the Catalonian region is included. Extra points if you can find works from the islands of Cyprus, Sardinia, Malta, or Sicily! Please join this year's challenge and see if we can discover new regions and cultures, while helping support the efforts of small presses and translators to make global literature accessible to all. Sign up now and share your finds!